The frequency of detection of HBV co-infection with multiple HBV genotypes is influenced by the detection method; usually co-infections are detected by multiplex PCR or hybridization assays, and are rarely confirmed by sequencing and conventional cloning. The objective of this study was to confirm by ultra-deep pyrosequencing (UDPS) mixed HBV infections, previously detected by multiplex-nested PCR. 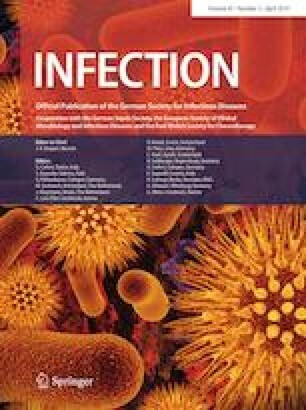 Sixteen samples from HBV co-infected Sudanese patients detected by multiplex-nested PCR, were amplified targeting the P/S region and sequenced by UDPS. The only genotypes identified using UDPS were D and E, while A, B, C and F genotypes, previously detected by multiplex-nested PCR, were not detected. Specifically, 10 samples were shown to be mono-infected (D or E); in 3 out of 10 mono-infected D patients, a subtype combination was observed: D1 + D7 in 2 cases and D2 + D6 in 1 case. The remaining 6 subjects were D + E co-infected (harboring different mixtures of D subtypes). Overall, UDPS is more effective than multiplex-nested PCR for identifying multiple HBV genotypes and subtypes infections. Khalid Abdallah Enan and Claudia Minosse contributed equally to this work. The online version of this article ( https://doi.org/10.1007/s15010-019-01306-5) contains supplementary material, which is available to authorized users. This work was supported by Italian Ministry of Health (funds Ricerca Corrente, linea 3 hepatitis to National Institute for Infectious Diseases INMI IRCCS L. Spallanzani); the European Union’s Horizon 2020 research and innovation program European Virus Archive goes Global under Grant agreement no. 653316.